In this sequel to Belle, the year is 1914 and Belle is happily married to Jimmy, her childhood sweetheart. When she reencounters Etienne, a Parisian who saved her life, she is reminded of her youthful love for him. However, Belle is optimistic about her future with Jimmy and her life as a milliner in London. Her past is filled with more unhappiness than one can imagine, and Belle believes that it is time for her happy ending. When England enters war with Germany, Belle’s life slowly starts to unravel. No one will remain untouched by the war, and like all of England, Belle will never be the same. Back in November, I was looking for a fiction book set in World War I to read for Remembrance Day. I didn’t look that hard, but I wasn’t able to find one. If only I’d had The Promise. This book begins in London on the eve of war, and continues until a few months after the armistice. I started this book without knowing it was a sequel, but it became clear early on, due to the references to very dramatic past events. I was able to get by well enough without having read Belle, but I would recommend reading it before moving on to the sequel. This is probably only a book for people who like romance novels. While I enjoyed The Promise, there were some flaws in the writing that stopped it from being anything more than an entertaining read. I found that there was a lot of telling instead of showing and things could be very repetitive. The story was interesting enough, although I wasn’t as poignant as you would imagine, considering it is set during WWI. While at first I admired Belle’s independence and how she was decades ahead of her time, I found her to be self-involved later on. The story was exciting and intriguing, especially since it includes so many different issues relevant to the period. 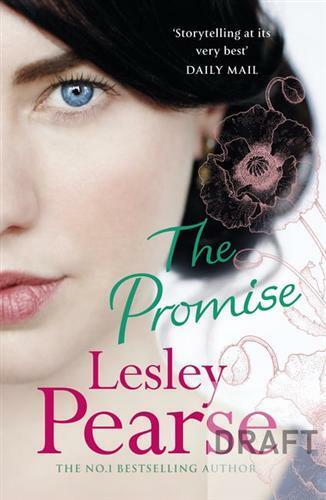 The Promise takes the reader from London, to war-town France and to New Zealand. Although this book was quite long, reading it flew by. Overall, romance lovers will be drawn to The Promise for its historical setting.